If you love green space, you’re spoiled for choice in Camberwell with options in every direction. From the village green in the heart of the neighbourhood and Myatt’s Fields on your doorstep to the huge expanse of Kennington Park, you have space to unwind when you live at Halsmere Studios. After taking time to pretend you’re in a Charles Dickens novel on the picture-perfect Camberwell Grove, head over to South London Art Gallery that’s as popular for its coffee as its culture. Hop on a bus from Halsmere Studios and be in the West End in just 20 minutes. 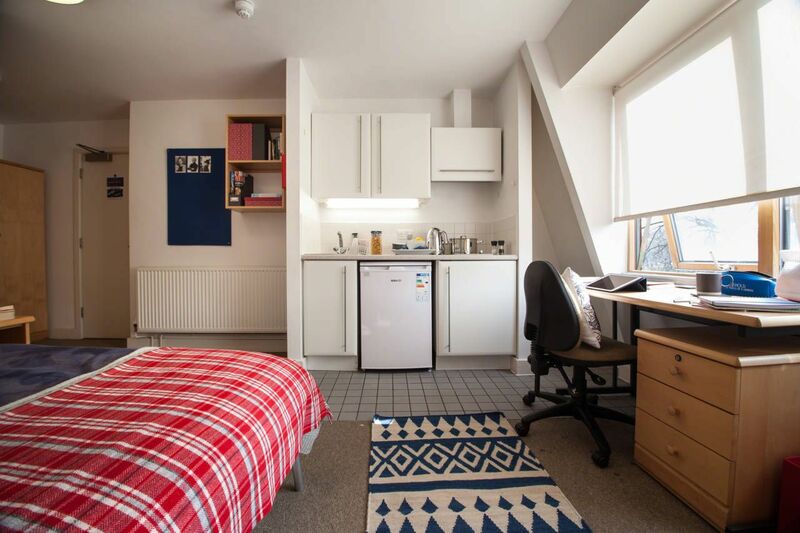 A 15 minute walk will get you to Oval tube station where the Northern line will drop you in London’s south bank for KCL, UAL and LSBU or into the city for other universities. 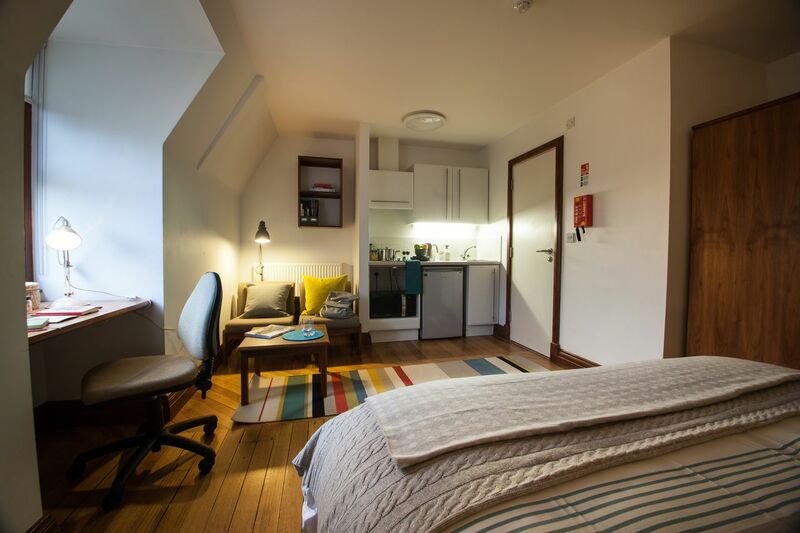 Halsmere Studios is also only a short bus ride away from Goldsmiths in nearby New Cross. Halsmere Studios, spread over a period building and modern building, has an overwhelmingly homely feel. 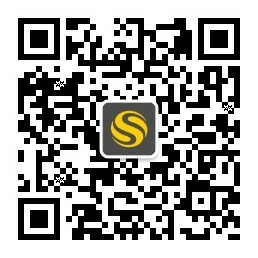 Studios are comfortable and spacious with smart wooden floors. Rooms in the period building have charming touches thanks to its shape, like desks built into window alcoves. The common room has a pool table and flat screen TV but the real draw is the period fireplace that gives it a real English front room vibe, making it a pleasure to curl up on the leather sofas with a book. For those days when the sun makes a welcome appearance, head out into the garden and fire up the barbecue. There’s nothing like roasting up a mound of meat and veg to forge bonds with your fellow students. 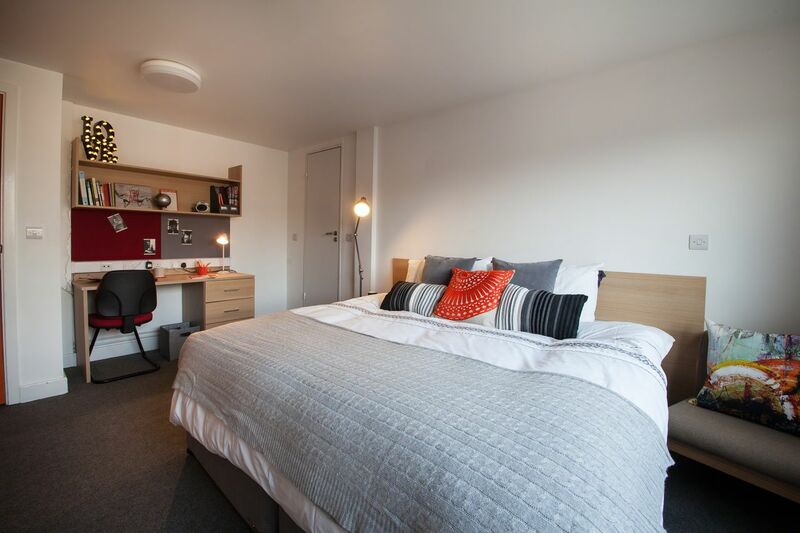 Halsmere has all the facilities you would expect from top quality student accommodation, such as secure bike storage, on-site laundry, round-the-clock security and on-site management, along with CCTV for peace of mind. High-speed broadband is free and there is a vending machine for snacks. We couldn't find a room that matches your preferencesView all Entire Place in Halsmere Studios.